Share What You Love Suite – Pre-Order NOW! During the month of May, you have the opportunity to purchase select bundles from the Share What You Love Suite! 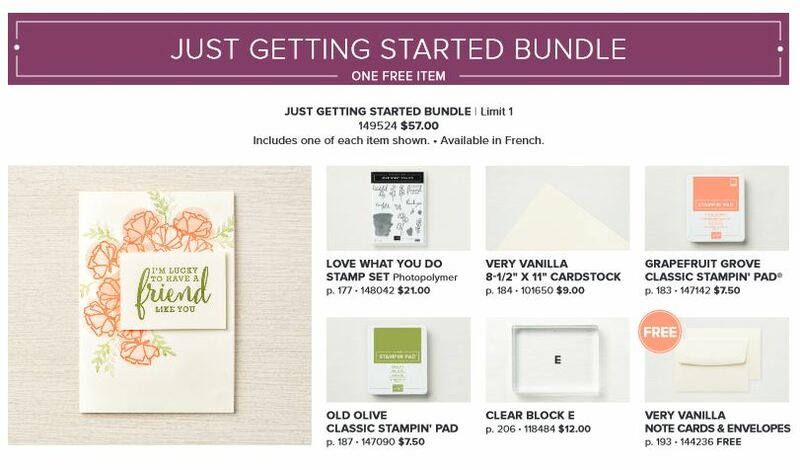 These products (with one exception) will be available in the new Stampin’ Up! Annual Catalog. You also have the opportunity to purchase ink pads from the new In-Color Collection! Each of the bundles is pictured below. 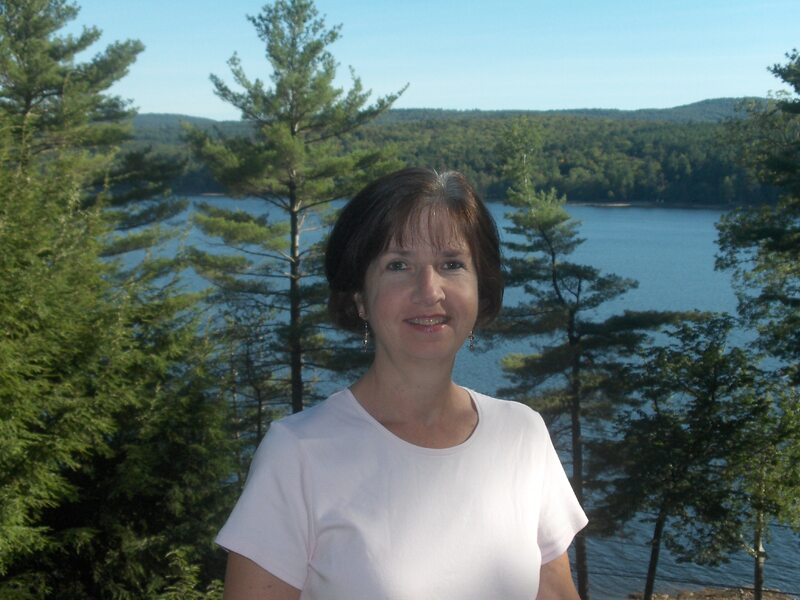 If you click on any picture, you’ll go to my on-line store! If you haven’t already, please be sure to watch the video that is included at the end of this post. You will get a great overview of the products, bundles, and new In-Color inks. Let’s start with the “Just Getting Started Bundle”. 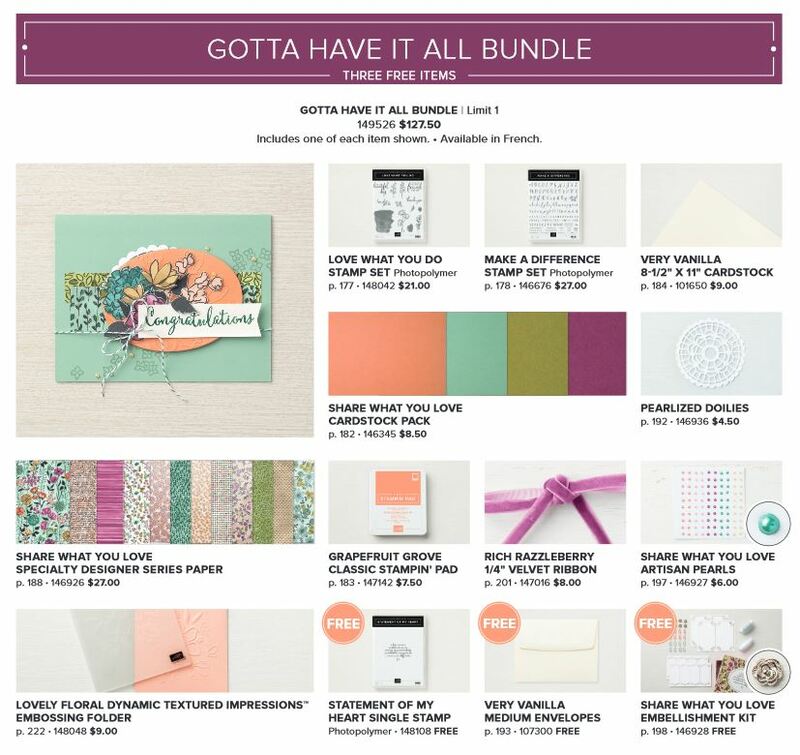 You’ll see that there is a FREE gift of Very Vanilla note cards and envelops included with this new bundle. Also included is one of the new In-Color ink, Grapefruit Grove! Next up is the “A Little More, Please Bundle”. There are two FREE items included with this bundle. 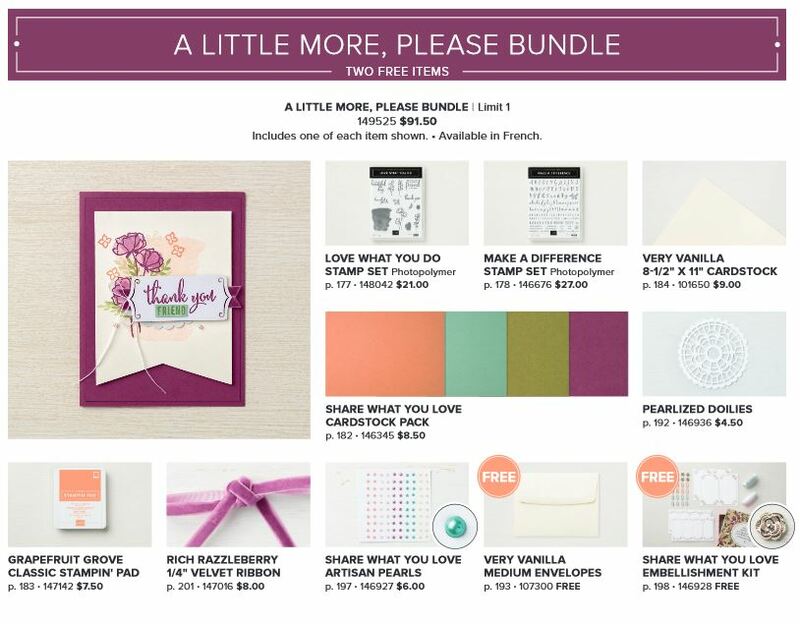 They are the Very Vanilla note cards and envelopes and the Share What You Love embellishment kit! In addition to the bundles shown above, you can also purchase the new In-Color Ink Pad Collection at a 10% discount!! Be sure to watch the video highlighting the products in the Share What You Love Suite.